Last night, I had a beautiful contact with our Lord Sathya Sai Baba. Since it was Ganesh Chaturthi, this made it all the more divine! Yesterday, I was feeling very upset from some distressing news I received that I won't go into. Our blessed Baba is always aware of everything going on in His devotees lives, so we must keep strong faith in His Omnipresence, Omnipotence and Omniscience. As the dream unfolded, I found myself in a rustic looking building. I went into a room where some women were working. There was one very beautiful woman with a light caramel colored complexion. She was young and looked like a goddess. I asked her if she was Indian. She replied, "yes". I inquired from what part of India, but I can't recall the response. 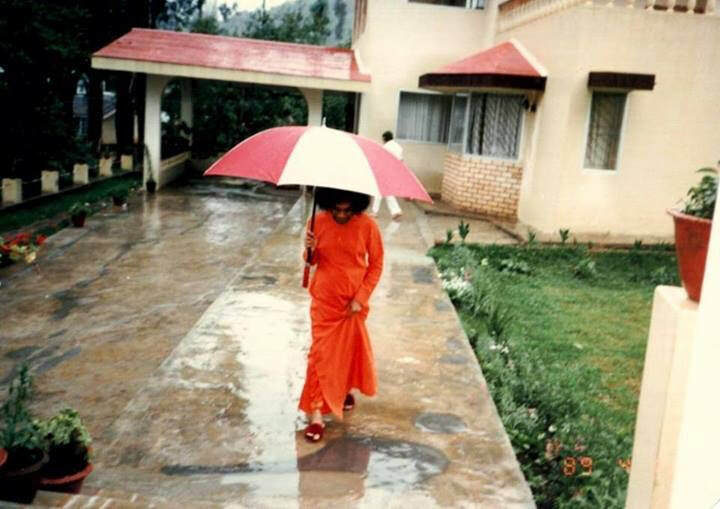 I then went on to tell her that I'd been to India several times to see Sathya Sai Baba. "I am from Ama........." I couldn't catch the last word there was very crackly, choppy static in the atmosphere making it hard to hear. I kept saying where? where? Again He repeated and still the same situation: "I am from Ama........."
As the conversation continued I kept finding it harder to hear everything being said. I said to everyone, "I am having trouble hearing, maybe something is wrong with my hearing." Then it dawned on me Swami was saying the young woman's name. He was from her and translated broadly He is from everyone of us, we are all ONE with Sai. What a marvelous truth! The truth of our intrinsic Oneness is difficult to understand and realize. This notion of separateness is so deeply ingrained in us, we operate most of the time through this ego centric perspective. How does this benefit me the individual or not benefit me. The difficulty I had hearing this in the dream shows me this is an area of spiritual development that needs deep focus, listening, awareness and experience. What are the ways we experience Oneness with God and others? the thought Selfless Love comes to mind. But what does that even mean? The tendency to think of ourselves first expresses itself in obvious and very, very subtle ways. It requires deep spiritual inquiry of our thoughts, words and deeds to assess where we are truly coming from. I believe if we listen to our divine Atma within, the voice of conscience it will tell us pretty loudly when we are doing something from love or purely selfish interests and manipulation. It will guide us on a kinder path, one of peace, bliss and ultimate union with our beloved Lord.